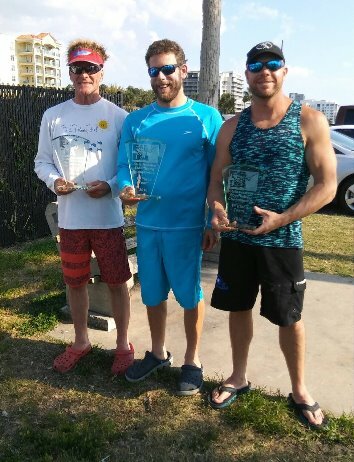 The dive clubs of the Florida Skin Divers Association would like to congratulate the top divers at this year’s Florida State Freedive Spearfishing Championship. The tournament was held on April 21, 2018 in Clearwater, FL to determines state team and individual winners. GR Tarr, Jason Wetmore and Ritchie Zacker are the new State Team Champions (131.5 points), followed by Matthew Brueckner, Bill Van Deman and Malachi Keddington as State Runner-up Team (95.9 points). Pit Gills and Blake Gaylord finished as third place team (79.3 points). Matthew Brueckner is the new Florida State Individual Spearfishing Champion (48.7 points), followed by GR Tarr (47.9 points), for State Individual Runner-up, and Jason Wetmore (45 points) for Third place individual. Jason Wetmore also took Largest Fish of the tournament with a 17.6lb kingfish. See downloads for 2018 rules and registration form.